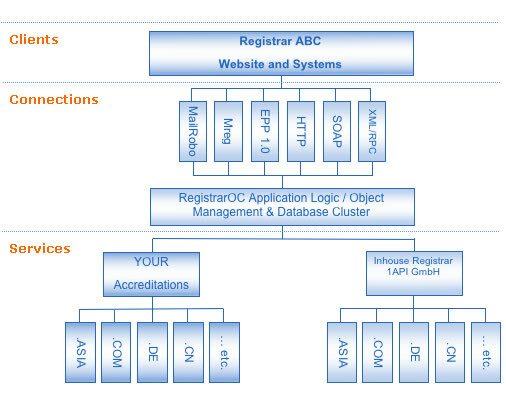 RegistrarOC is a comprehensive stand-alone registrar system. Built with the latest technologies and requirements like Data Escrow (ICANN), RegistrarOC is the highly reliable, high performance, and ultra cost effective alternative to developing and operating an in-house registrar. Simply signup and plug-in registry accreditation and start registering domains in minutes! This page was last modified on 29 August 2018, at 19:46.